James' main interests are birding (though he enjoys watching all wildlife) and writing. 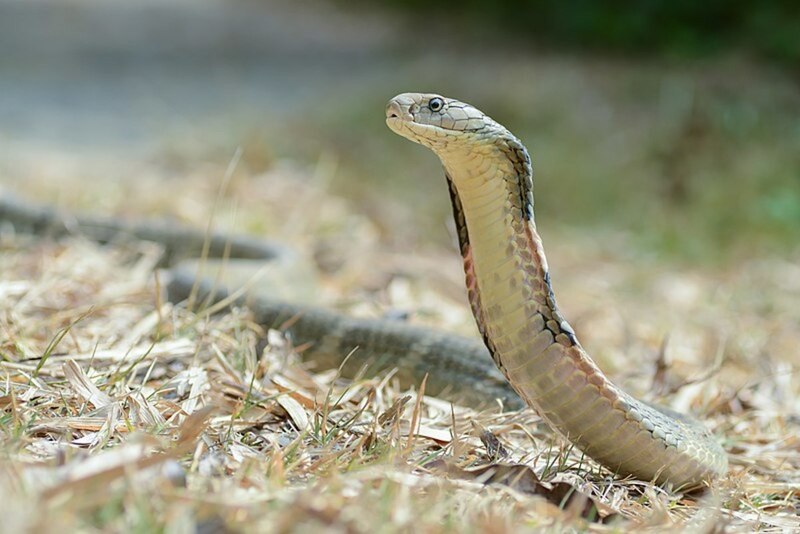 Before striking, an aggravated king cobra will spread its hood and raise a third of its body off the ground so that it towers over whatever has upset it. It then emits a low growling sound like an angry dog by quickly exhaling and forcing a blast of air out through its respiratory tract. An air cyst called a tracheal diverticula in the tract acts as a resonating chamber to amplify the hiss. 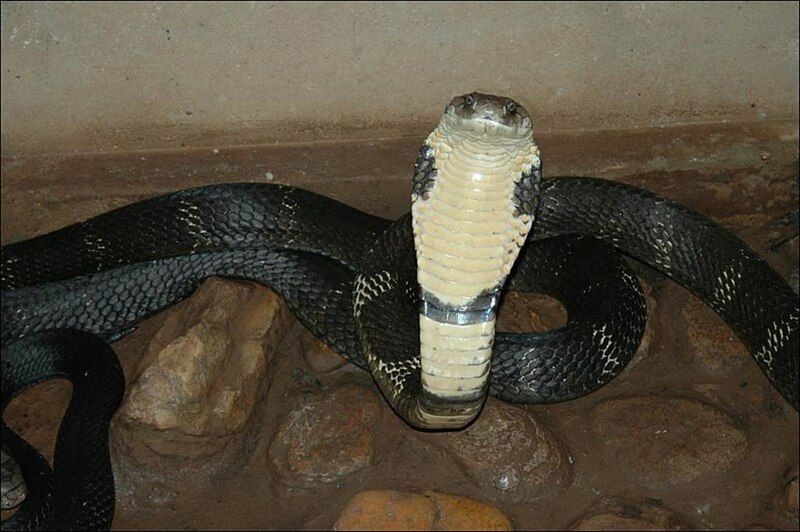 If a king cobra can't scare off an enemy it will resort to biting, injecting up to a teaspoon and a half of venom. The dosage delivered makes up for the fact that the venom is less potent than that of some other species. It rapidly affects the nervous system, blurring vision and causing drowsiness and paralysis. A large dose of venom can kill a person in 30 minutes. While the true cobras all belong to the genus Naja, the king cobra is thought to be more closely related to mambas. 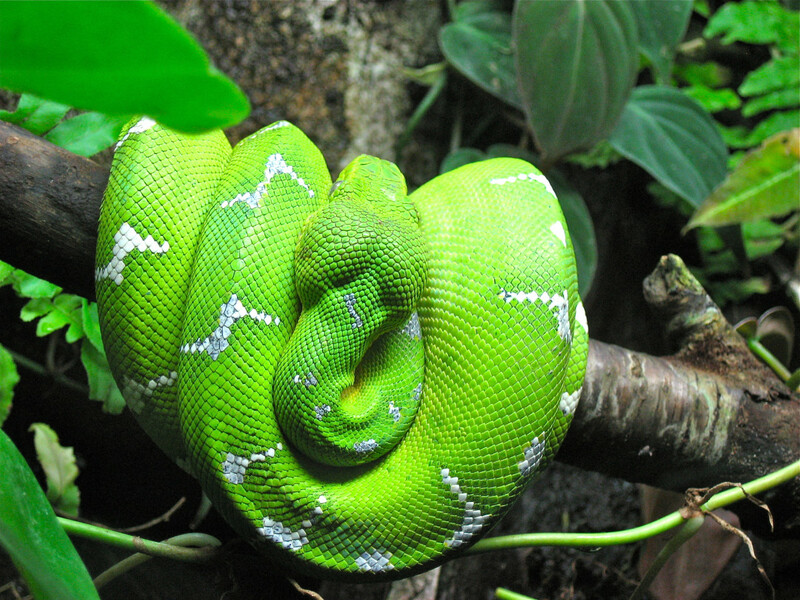 It's the sole member of the genus Ophiophagus, which translated from Greeks means 'snake-eater'. A king cobra showing the distinctive crown like pattern on the neck. The king cobra is aptly named on account of the 11 large scales that are patterned in such way that they form a very recognizable to us humans, that of a crown. The king cobra is the world's longest venomous snake. Adults usually measure in at between 10 and 13 feet long, but some of the longest individuals have been reported to have reached 18 feet. That's the same length as the largest great white shark. 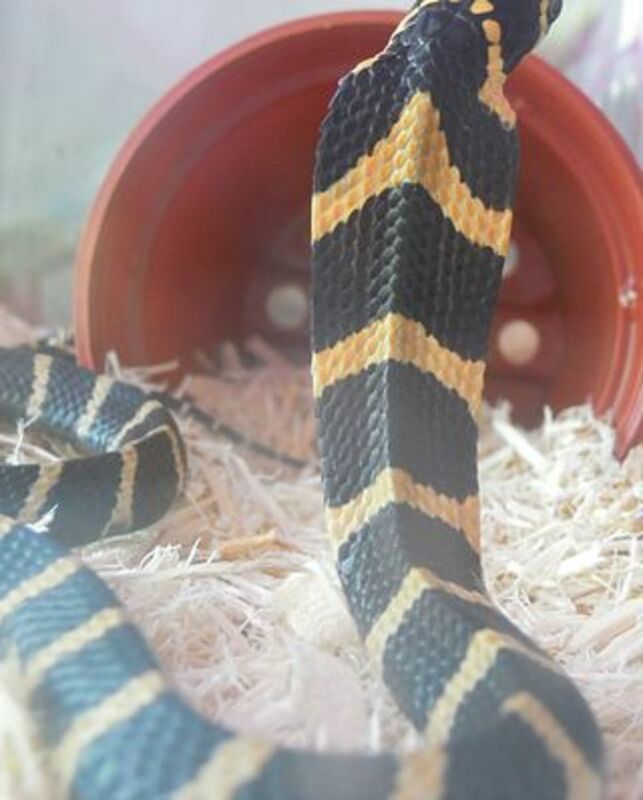 A couple of king cobras in captivity with their hoods extended. King cobra hatchlings measure around 17-21 inches long. They're covered in a pattern of bands that fade as they grow. Although they can't strike with the force of their parents, their venom is just as potent. 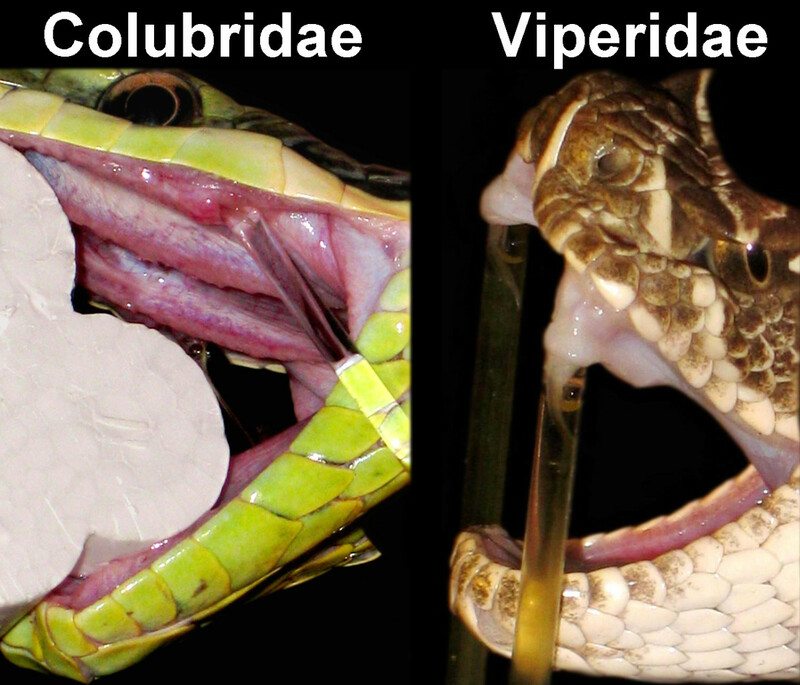 Like all snakes, king cobras have very flexible jaws and are able to swallow prey larger than their own heads. The jaw bones are connected by stretchy ligaments, so the lower jaw can move much more freely than in other animals. Almost all female egg-laying snakes abandon their clutches immediately, but the king cobra is different. A female will spend hours dragging leaves into a pile before laying 21-40 eggs (nests of 70 have been found). The clutch is covered with more leaves, which provide warmth as they decompose, then the mother settles down on top of the nest. 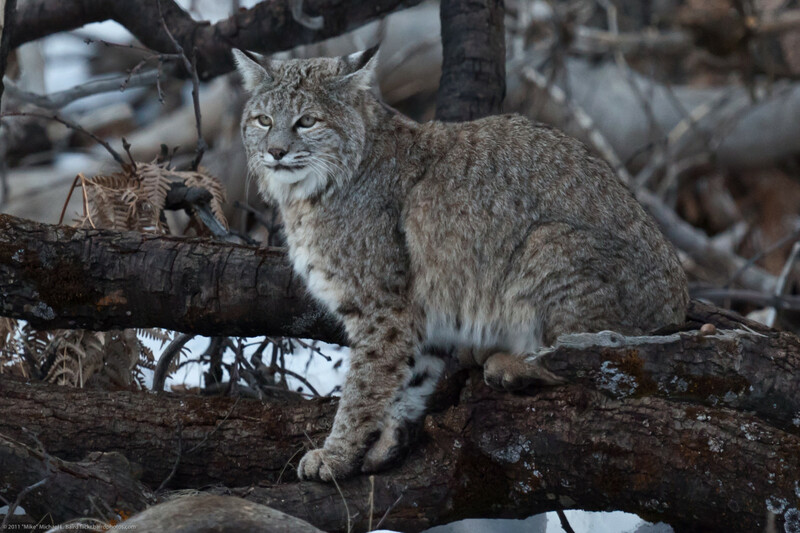 She remains there for three months, going without food and defending her young. Then, just as they begin to hatch, she leaves. 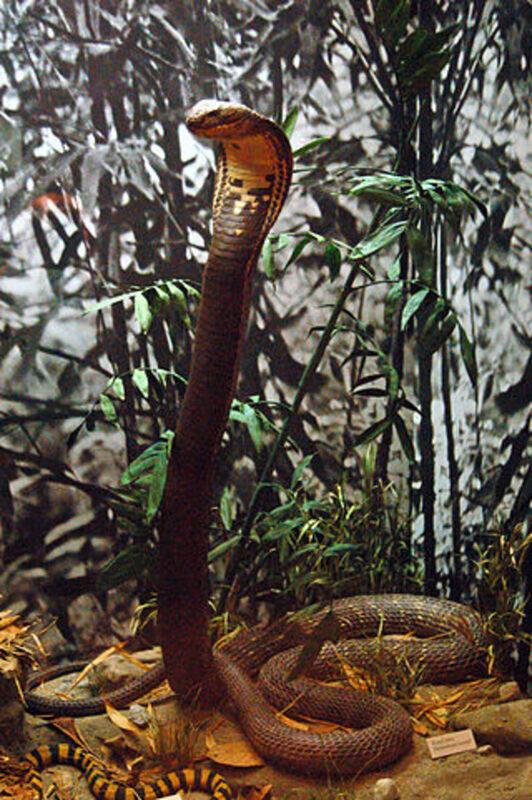 Their venom makes them extremely dangerous, but there are predators brave enough to try and make a meal of king cobras. 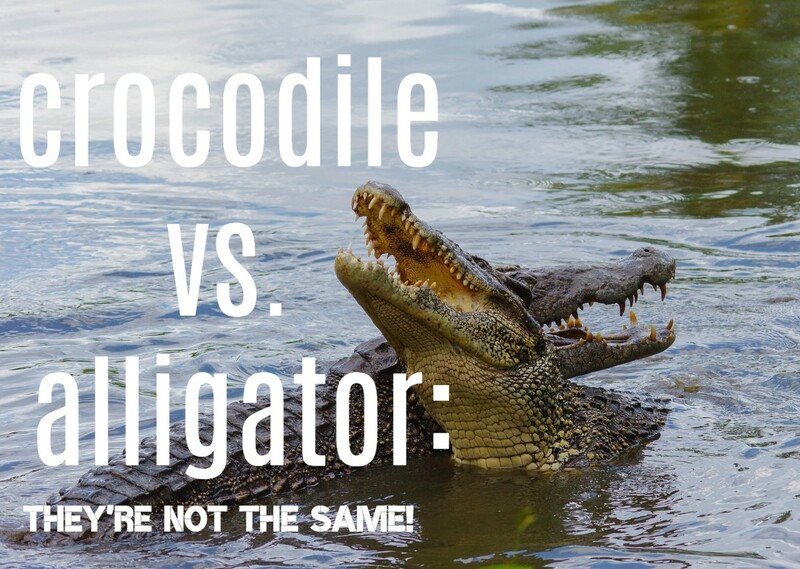 Crocodiles, colonies of army ants, civets and mongooses eat the young, and mongooses continue to hunt them into adulthood. They are able to do this as they're resistant to the cobra's venom due to an evolutionary quirk that means their cells are the wrong shape for the venom to latch onto. As a general rule in the world of snakes, the females are the ones that grow to great sizes, while the males are considerably smaller. However, with king cobras its the opposite way round, with the males being up to 6 feet longer than the average sized female. King cobras are predators with a highly effective hunting method, coupled with the fact that they have very few natural predators means that in the wild they can live for an average of 20 years. In captivity, away from the stresses of the wild, they can live for considerably longer. Many animals have rather quirky and interesting collective names for when they congregate in groups. For example a flock of crows are known as murder, and a group of owls are known as a parliament. If you should ever encounter a group of king cobras then the correct term to use is a quiver. 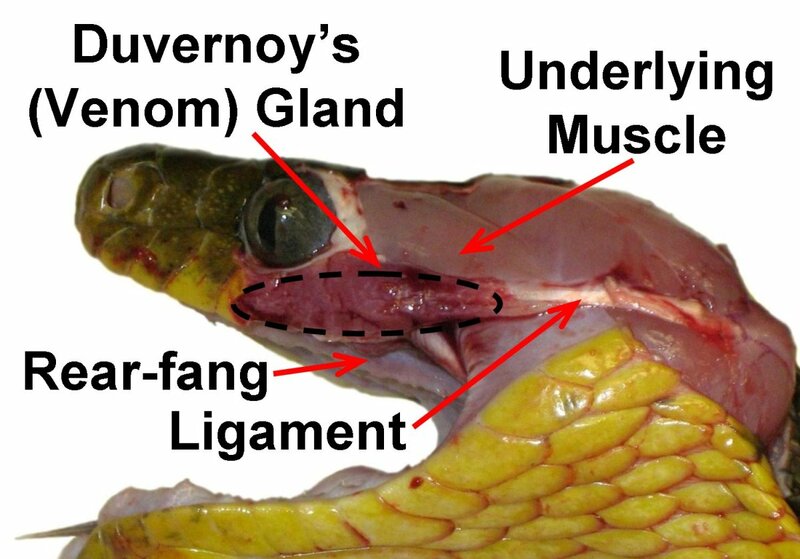 Not every bite from a king cobra carries the chance of death. They often engage in a form of behaviour known as 'dry biting'. This is where they'll bite with their fangs as normal, but refrain from injecting any venom. 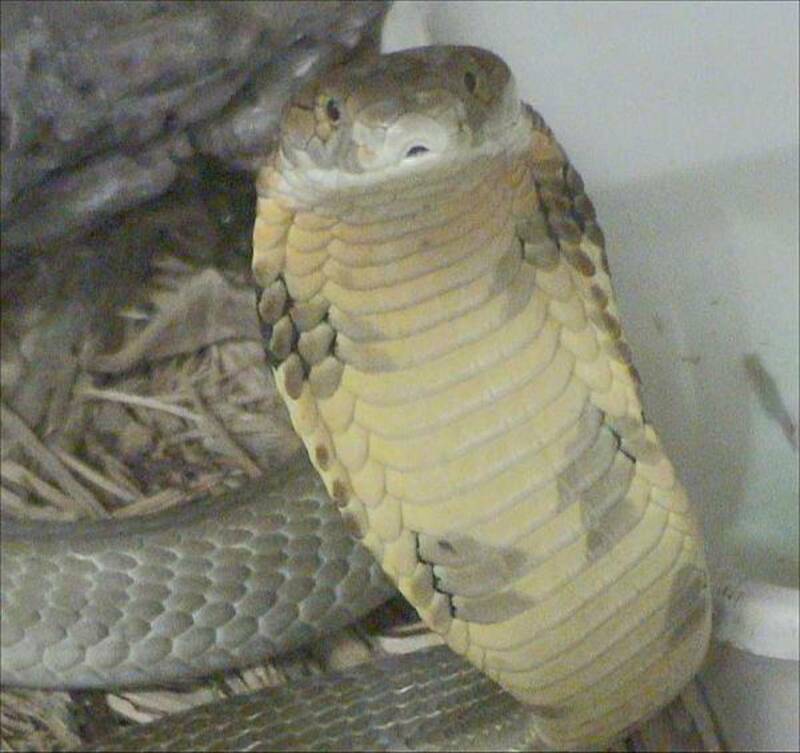 With its impressive hood, the king cobra is the favouite among snake charmers. Contrary to popular belief though, It can't actually hear the music being played as it can only pick up vibrations in the ground as is deaf to sounds travelling through air, but it still dances to rhythm because it follows the movement of the instrument. While they may look ferocious, king cobras are actually very shy and try to avoid confrontation whenever possible. They slither away at the sound of approaching humans and only attack if there's no other option. Few people are ever bitten, and almost all of the victims are snake handlers. King cobras like all other snakes typically slither across the ground both when moving generally and when in pursuit of prey. They are however, fully capable of climbing trees, and will even swim short distances in their pursuit of prey. All true cobras are fully nocturnal, but not the king cobra, who are active during daylight hours. Once dusk falls, king cobras will take themselves off to a nice sheltered spot and sleep through the night. Male king cobras fight over females by wrestling, twisting around each other and trying to pin their opponent to the ground. 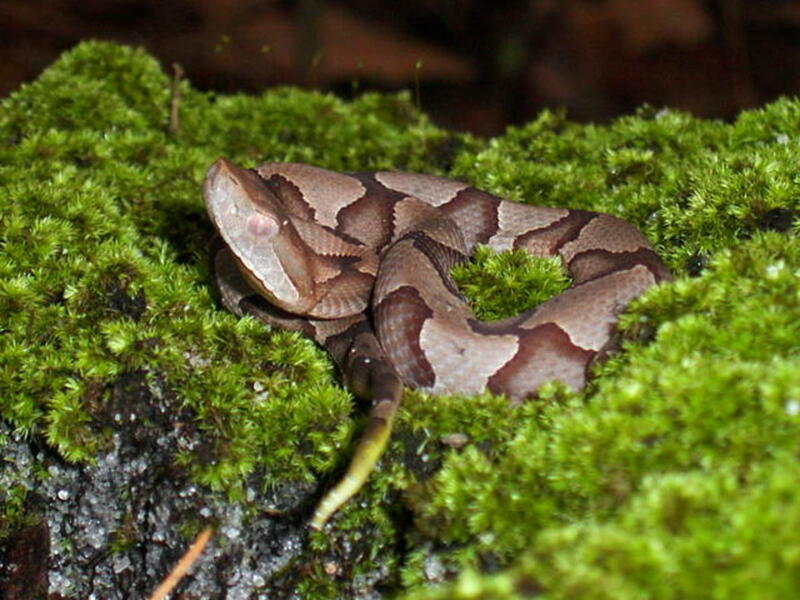 There's very little biting involved because they have a high resistance to their own venom. 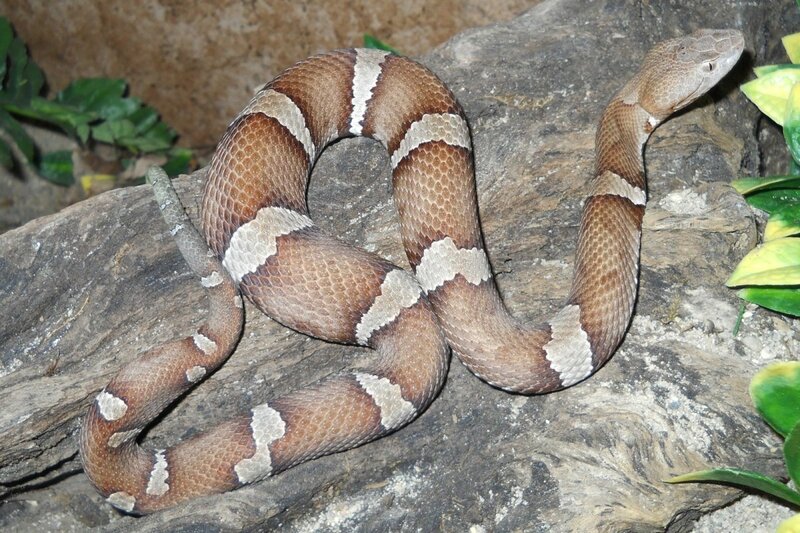 True to their scientific name, king cobras mostly eat other snakes. 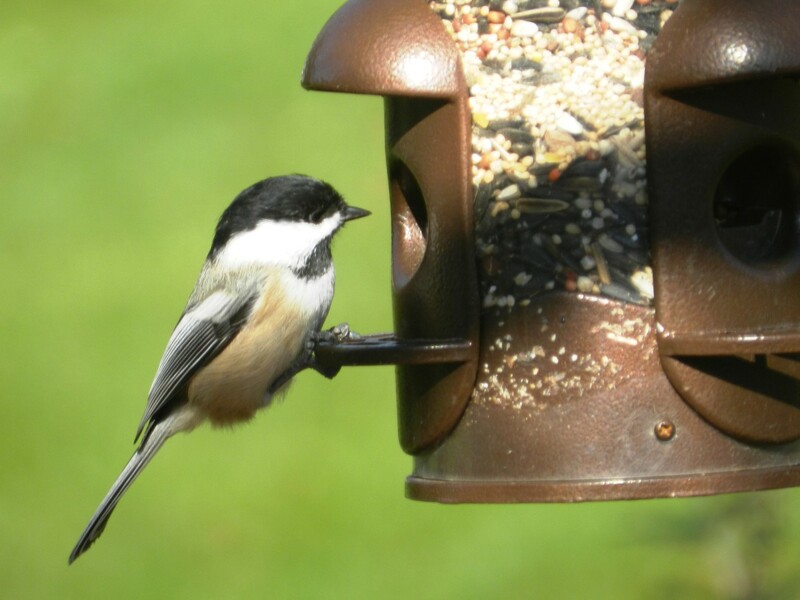 However, when their favorite prey item is not available, they'll turn to rodents, birds and other reptiles for food. Their slow metabolism means that just one significant meal can keep them going for several months. Thank you this will help me a lot with my project about king Cobras! This is a very informative article with great illustrations.